This classy colonial-style luxury home is centrally situated and just a few minutes away from the San Miguel de Allende central park. 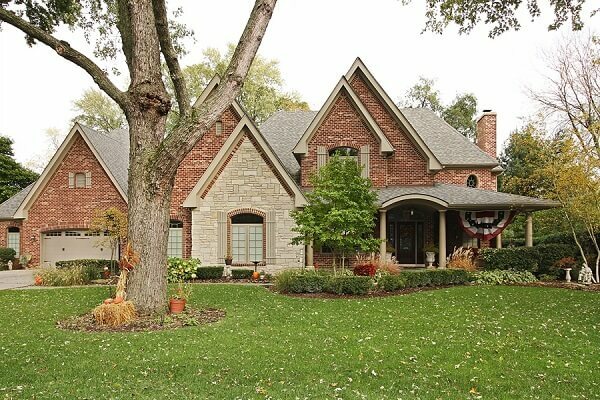 The luxury home has a mix of Old World appeal and modern comfort. 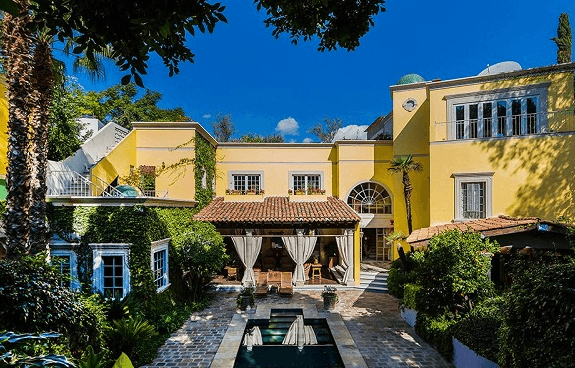 The entire luxury property features 7 bedrooms in total with 6 bathrooms and 3 partial baths. 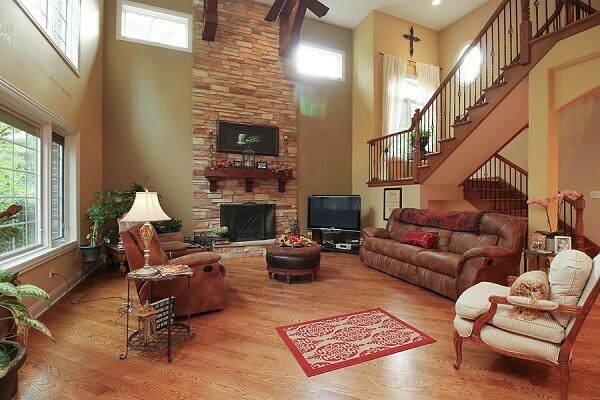 The main house also has its own elevator that comfortably moves you between the 3 expansive floors of the house. 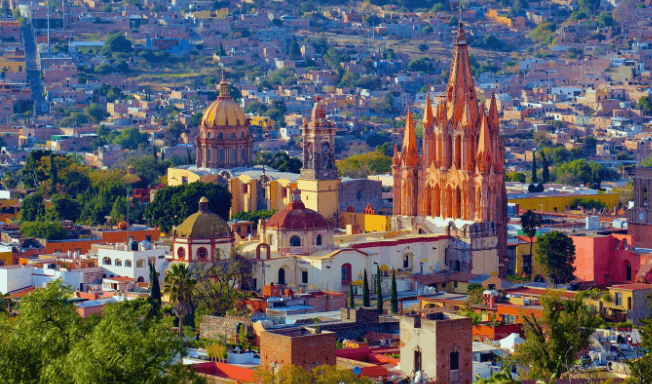 San Miguel de Allende is really a melting pot, made up of locals and an expat population in all 63 nationalities. Located in the state of Guanajuato, this city has long been a top favorite vacation spot among travelers and tourists form the U.S. because of its historic colonial architecture, all-year-round warm weather, colorful fiestas, and amazing food. The luxurious Palladian architecture captures the glamour of the Belle Époque and the elegant formal terraced gardens are based on the Peterhof Palace in Saint Petersburg, Russia. Inspired with modern finishes. It features the latest home and security technologies with environment-friendly specifications. 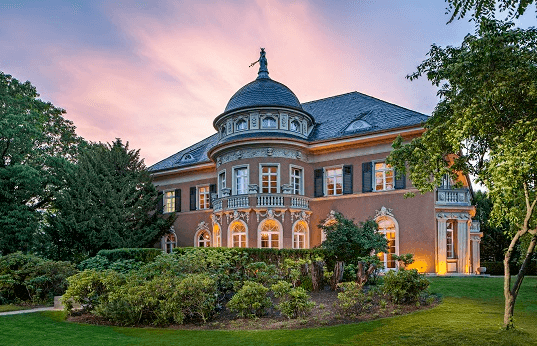 This luxury real estate is so opulent in both finish and proportion that has been named The “Gatsby” mansion, in honor of the extravagant and lavish mansion that Scott Fitzgerald’s character Jay Gatsby built to impress his lover. Los Angeles, the entertainment center of the world and a city loaded with lively culture, interminable fine restaurants and a lot of chances to claim a bit of Hollywood history. Currently listed, are The Edie Goetz Estate and The Manor sitting in the middle of undoubtedly the most sought after neighborhood in Holmby Hills in Los Angeles. Check out this nice sunny SoCal day tour through one of the best neighborhoods in the city of Los Angeles called “Little Holmby”. 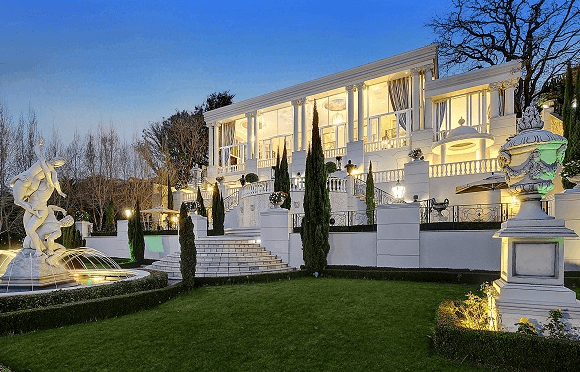 The price of homes here ranges from about $1 million to about $8 million. It has Avenue Elementary which is the best public elementary school in L.A. Bordered by Sunset Boulevard to the north, Wilshire Boulevard to the South, Beverly Glen on the East, and UCLA to the West. The Estate at Kings Point in Long Island is truly one of the premier homes that offers luxury and immense privacy. This luxurious property is very unique in design and you will be astonished for sure by the size and splendor of this home. It is less than an hour away from New York City and probably one of the largest and most expensive homes in Long Island. 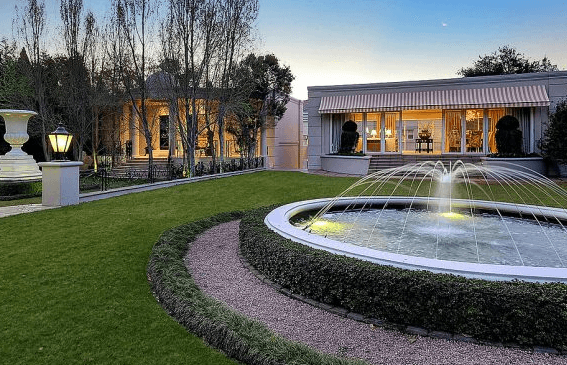 The secluded and private estate features smart home technology, indoor and outdoor pools, saunas, wine cellars, a bowling alley, a tennis court and many more. Check out this video from Dailymail.co.uk to know more what this luxurious estate is all about. Here are some of the most beautiful and luxurious homes situated in one of the most beautiful places in the USA, Arizona! Check out this video which features some of the most expensive luxury homes listed in the Arizona luxury real estate market. In the summer, it gets hot in Arizona. And a luxury home in Arizona would not be complete without a swimming pool. If you’re going to add this feature in a luxury home, you might as well add a beautiful swanky swimming pool to go with it. 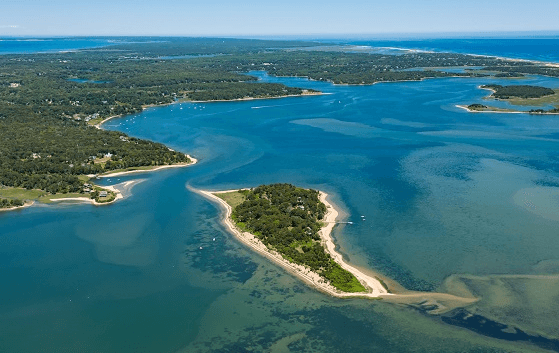 One of the things that everyone says if they’ll win the lotto is to buy a private island. Owning a remote and private luxury island property is what most of us dreams of. Sipson Island is a luxurious private island that is surrounded by nice beaches of Pleasant Bay. 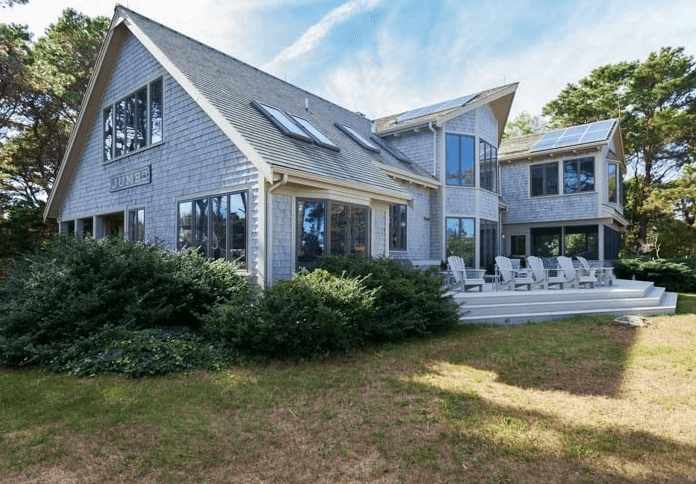 Sipson Island boasts views of Cape Cod Bay, Nauset Beach and Cape Cod Bay. This dreamy coastal oasis is priced at $12.5 million. So if you can scrap together the cash, here’s your chance! From the cleaned limestone and lavish covered floors to the taking off house of prayer roofs, flawless soffit lighting, astounding tropical patios, and Kailua Bay view this house is simply a masterpiece. Modernity and tropical grandness mix flawlessly in this resort style bequest on the Big Island of Hawaii. For the extravagant buyer that prefers the accommodation of around the local area living with the luxury and nearness of a five star resort.